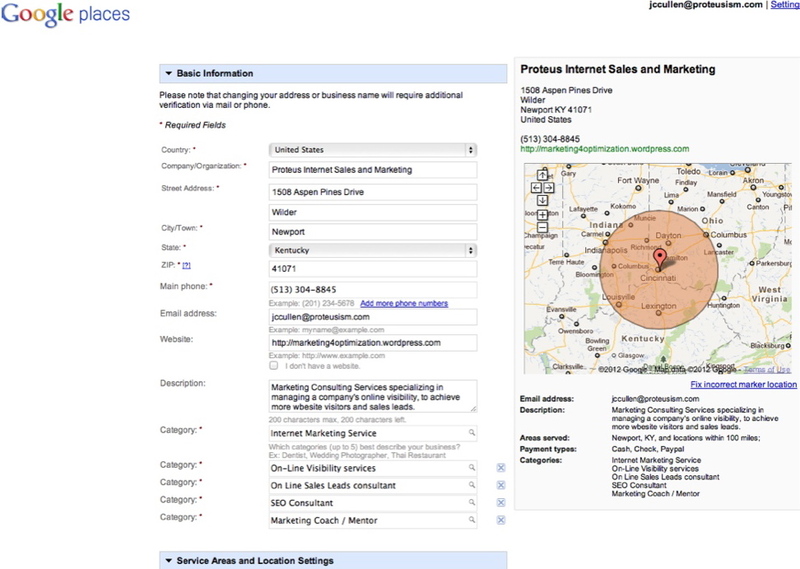 Google Places does more than just put your business address on a map. Once you claim your business location and verify the basic information with Google your business listing on your Google Places page can provide: business details including website link and email address, photos, reviews, or opening hours, videos, coupons, weekly specials……there’s a lot here…..and visible on Google search results!! Sign in with Google Account info. Click to add New Business on Google Places page, and search your business phone number to see if Google already has information on your business. Preview your business listing on the right side of your screen, once finished click Submit at the bottom of the page.